Jio is offering 1.2 GB and 2GB of high speed daily 4G data with its Rs 199 and Rs 299 recharge plans respectively. Both the plans come with a validity of 28 days. Jio has announced two new prepaid plans for its subscribers under the "Happy New Year 2018" plans. Priced at Rs 199 and Rs 299, both the recharge options are valid for 28 days and are will be available for users from December 23. 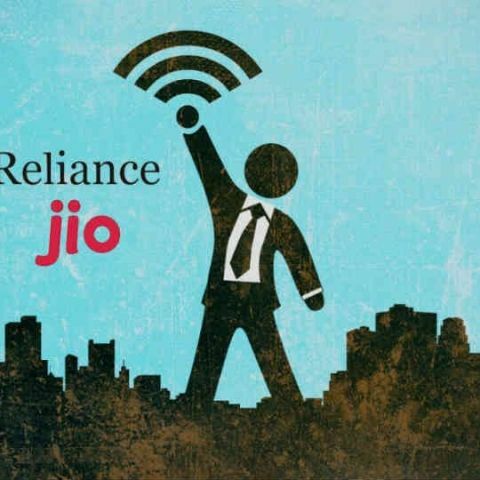 Under the Rs 199 prepaid plan, users will get1.2GB of 4G data every day with free local and STD calls, texts and unrestricted access to Jio’s suite of apps like JioCinema, JioChat, JioTV, and more. The Rs 299 prepaid plan is focused towards subscribers who want more data as it offers 2GB of daily high-speed 4G data clubbed with free calls, SMS, and access to all the aforementioned Jio apps. Apart from introducing the two new plans, Jio is still offering all other recharge options which it previously offered, but has refreshed some of them. Jio has also revised the data speeds of its prepaid plans priced at Rs 149, Rs 399, Rs 459, Rs 499 and Rs 509. All the aforementioned plans, along with the two new recharge plans mentioned above, will now offer data at a higher speed of 128 Kbps instead of 64 Kbps after exhausting the daily high-speed data limit. Additionally, the Rs 148 prepaid recharge which previously offered 4.2GB 4G data will now offer 4GB of high-speed data for 28 days. Similar to Jio’s Rs 199 recharge, Airtel and Vodafone already have a prepaid plan which is priced the same. Under the recharge, both telcos offer 1GB of 4G/3G data for 28 days along with free voice calls, which are limited to 300 minutes per day and 1200 minutes every week for Airtel users and 250 minutes per day and 1000 minutes a week for Vodafone subscribers. It should be noted that these plans are only available in select circles.